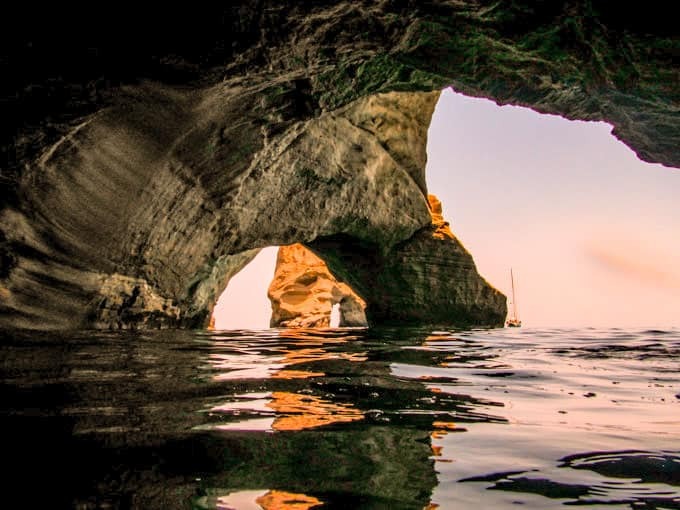 Anyone who knows anything about Milos knows that Milos beaches are some of the best in Greece. 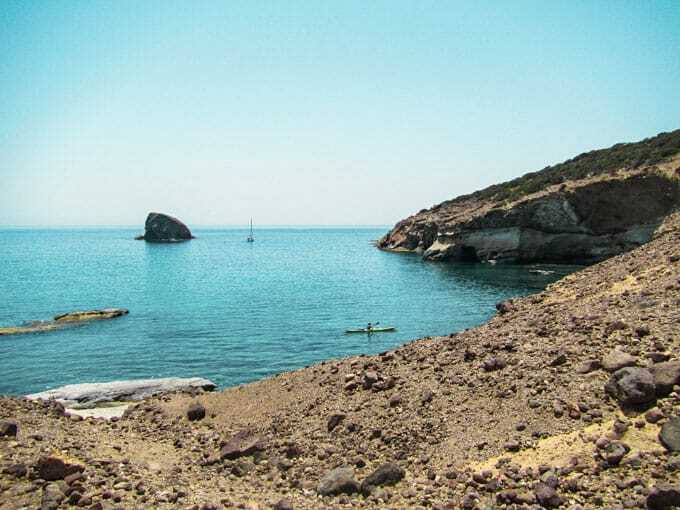 Milos has over 40 beaches which is an amazing fact considering the island itself is tiny. 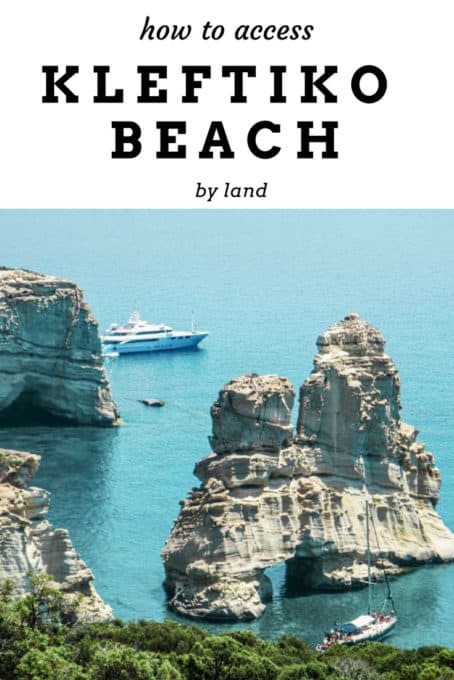 Some of the most beautiful beaches besides Kleftiko are Sarakiniko Beach, Tsigrado Beach and Firiplaka Beach, all of which you can look at in my post on the best beaches in Milos. 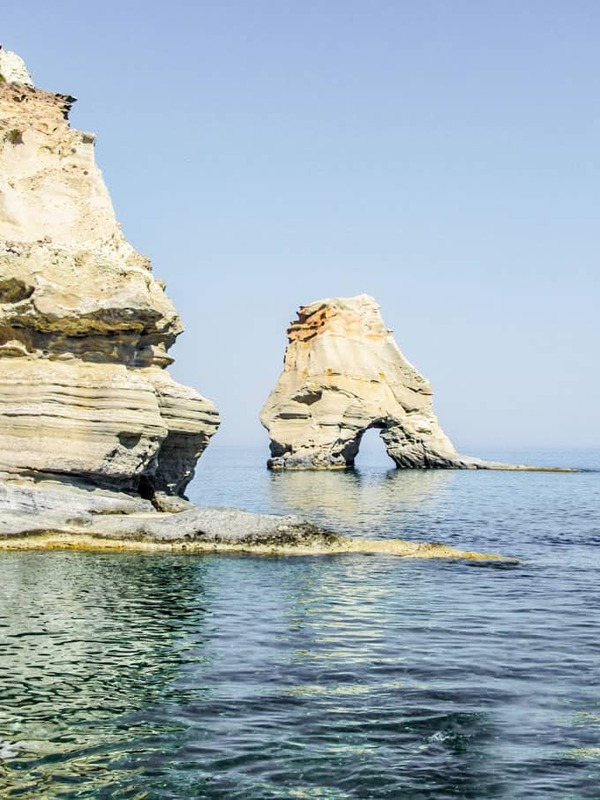 Before traveling to Milos, I researched which beaches were popular and which ones definitely deserved a visit. 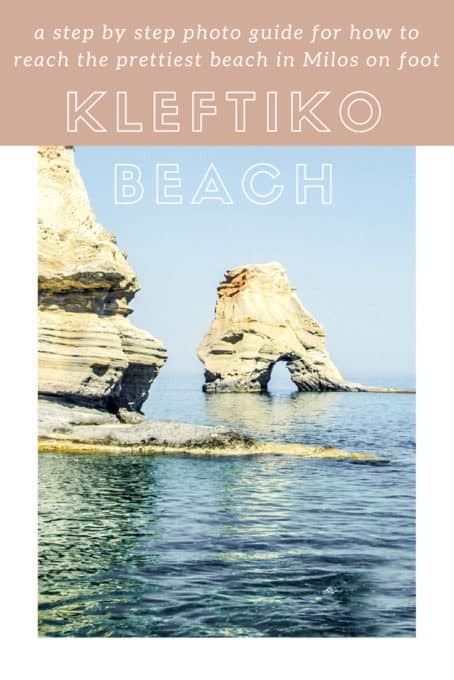 I came across this gorgeous picturesque beach named Kleftiko (basically anytime you search for Milos on the internet, photos from Kleftiko will pop up) where site after site indicated that it could only be reached via a Kleftiko Beach tour by boat. However, I found a few forums mentioning it was doable by foot. Not one to shirk from any kind of adventure, I decided to try to figure out how exactly this can be achieved. I read page after page of people’s tips and advice but soon got lost amidst all the mess of ideas and opinions. 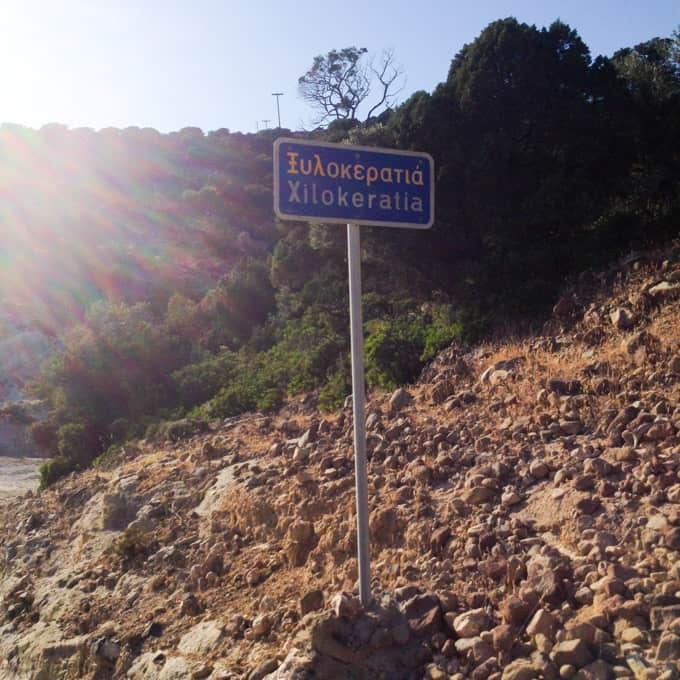 After hours of reading, the gist of what I read went like this: drive the road that goes to Kleftiko, go past the town of Xyloteria and find the pole which used to have a sign on it but UN-lucky for you, the sign is now missing. It’s ok, though, because you’ll come across painted rocks and those painted rocks will lead you to the beach after about a 50 minute hike. Oh, and wear good shoes (not sandals) because there are venomous snakes here including the Vipera Lebetina which you’ll probably never run into but just in case. 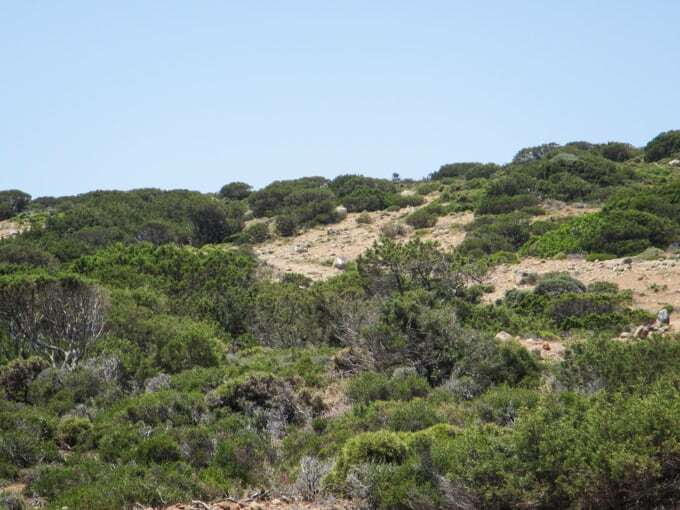 Finding an un-pictured pole in this mass of bush and rock is like finding a needle in a haystack. 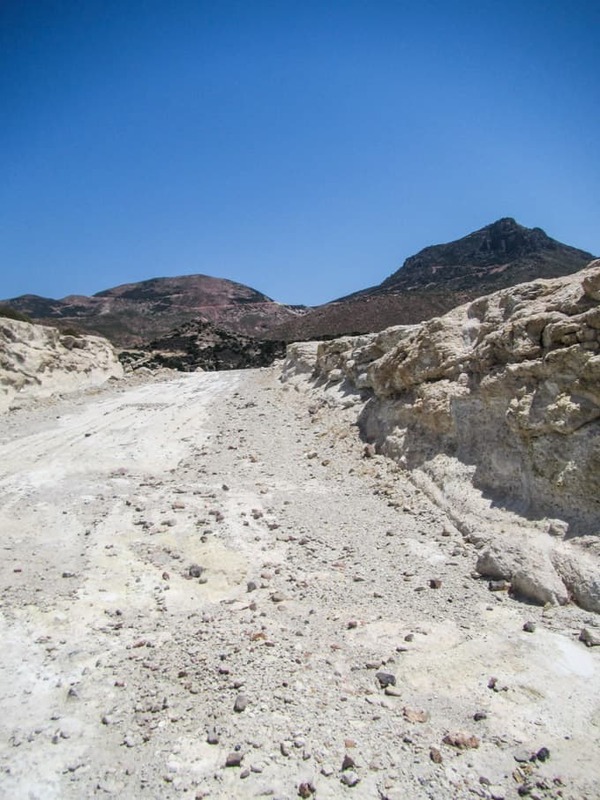 Painted rocks might seem like a simple and great idea if you’re looking for them in a wheat field but considering Milos is known for mining perlite and perlite is white, white painted rock is not quite as helpful as it sounds. 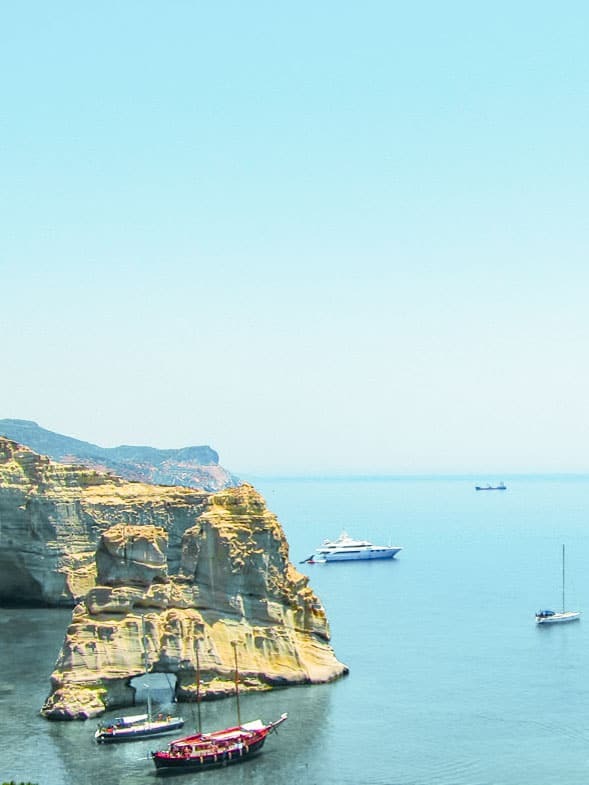 White rocks are everywhere. 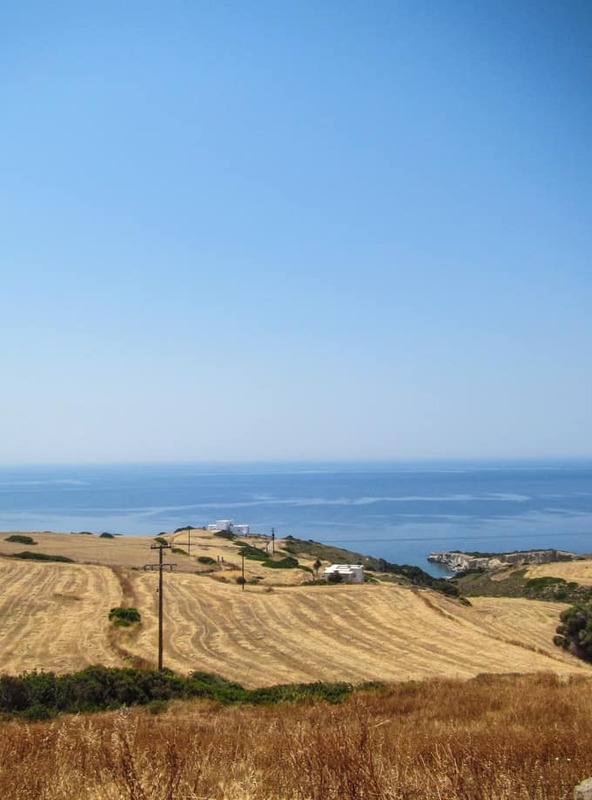 The town of Xyloteria is a few houses – a far cry from a typical town – and so you can imagine the myriad of questions we had while we were trekking. So everything aside, is the hike doable? 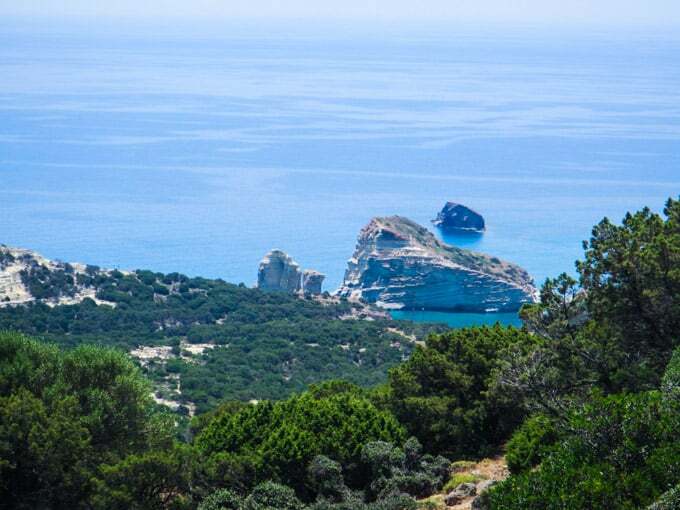 Can you get reach Kleftiko Beach on foot? Yes and yes. 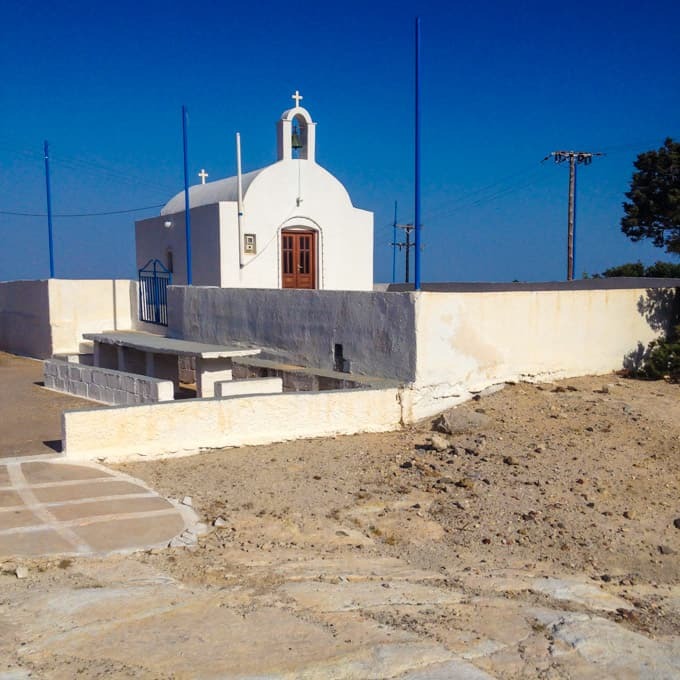 There are snakes in west Milos. The Vipera Lebetina is terribly poisonous and should be avoided. As most other people have suggested, wear good hiking shoes and take precautions as you hike. 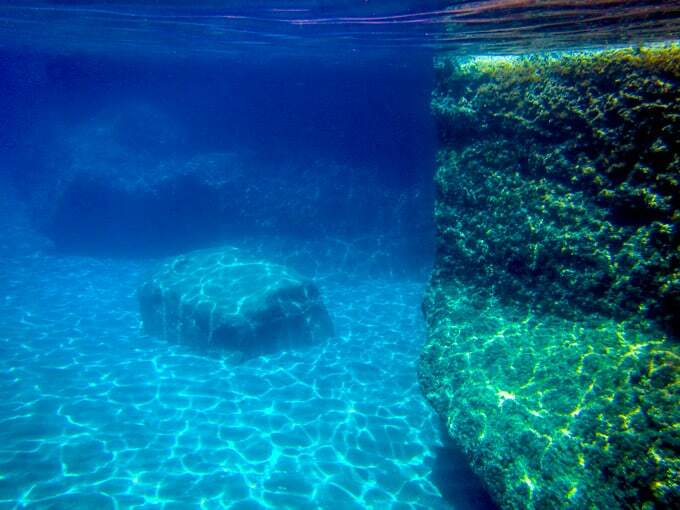 Do not step in shadowed places and do not overturn rocks. Exercise caution and safety in the entire hike. 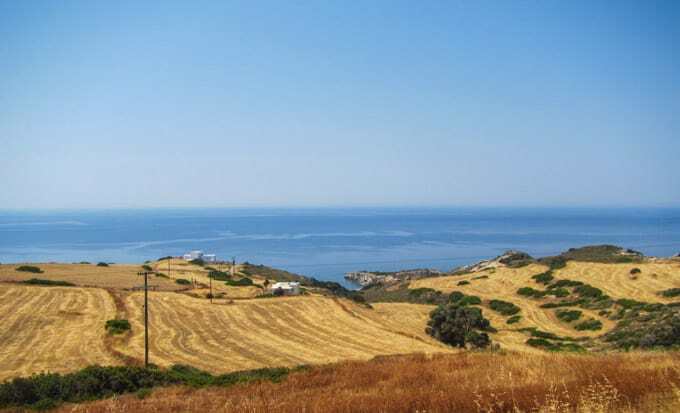 This is a remote area of Milos and help is not close by. Bring A LOT of water and snacks. 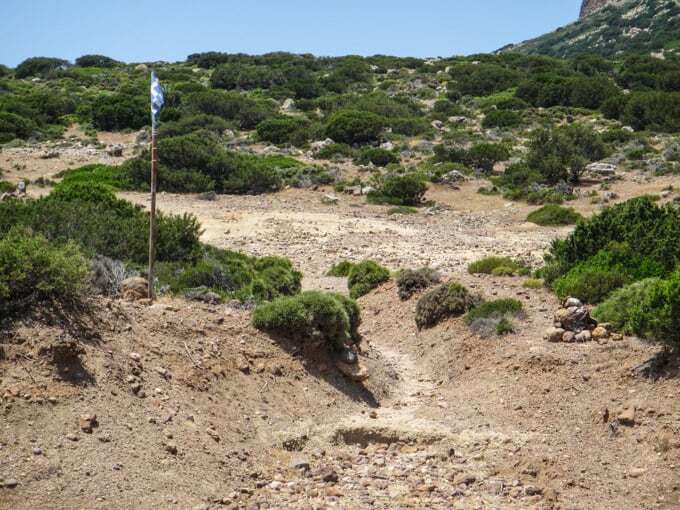 Again, this is a remote area and access to drinking water is impossible. The hike will tire you out so having some sort of sustenance is helpful. Come with friends. Do not hike this alone. 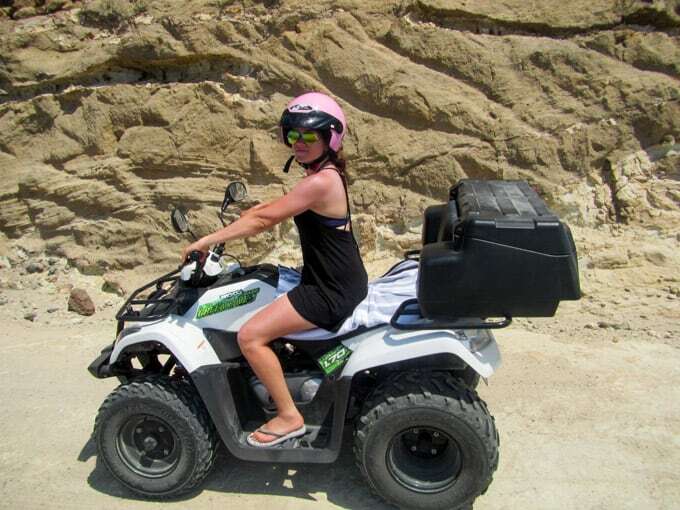 Rent a quad bike to make the drive to the start of the trail. Note: this is a service-free zone meaning if your vehicle breaks down, you are pretty much on your own. 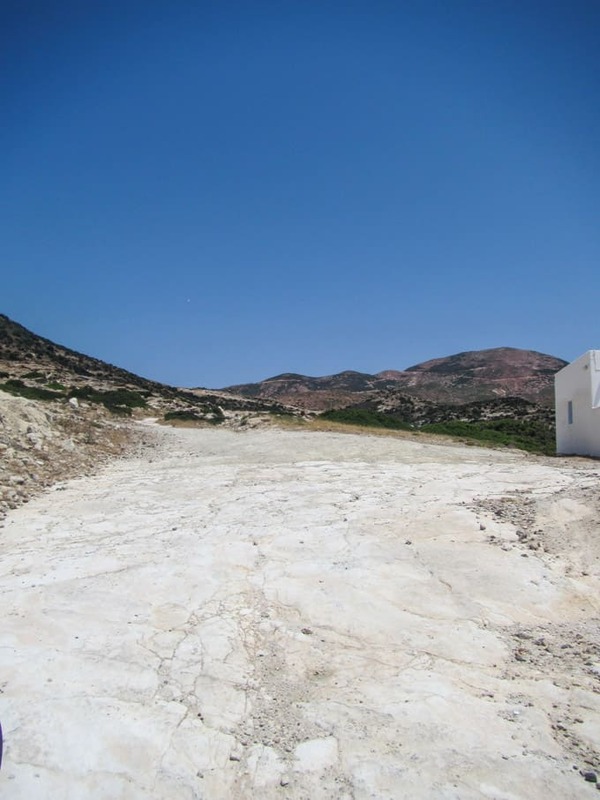 If you look at a map of Milos, you will find that this entire region is only suited for quads (not even scooters) and that the map actually will state that the routes are inappropriate for vehicles. When you drive it, you quickly realize why. The dirt road is basically a rock road – the quad does a great job of traversing the uneven surfaces but I’m not sure how a car/suv would do. Leave before dark. 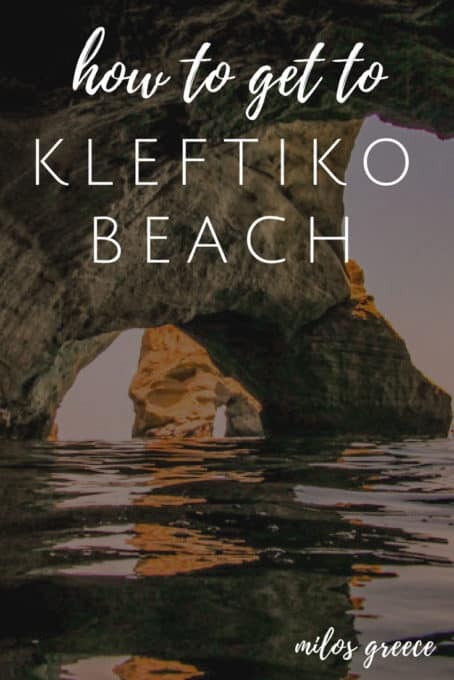 It’s easy to overstay once you reach Kleftiko – the water is beautiful, the surroundings are pure and the experience is truly one-of-a-kind. However, you definitely want to hike the trail back before sunset. 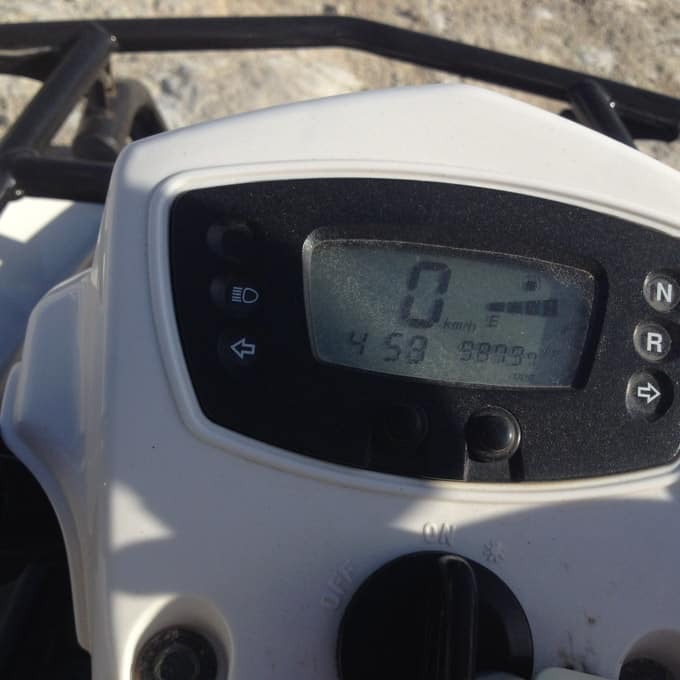 Leave enough time to get back to your quad before it gets dark – in fact, I recommend a few hours before sunset. We left around 4pm (during June) and felt that was enough time. 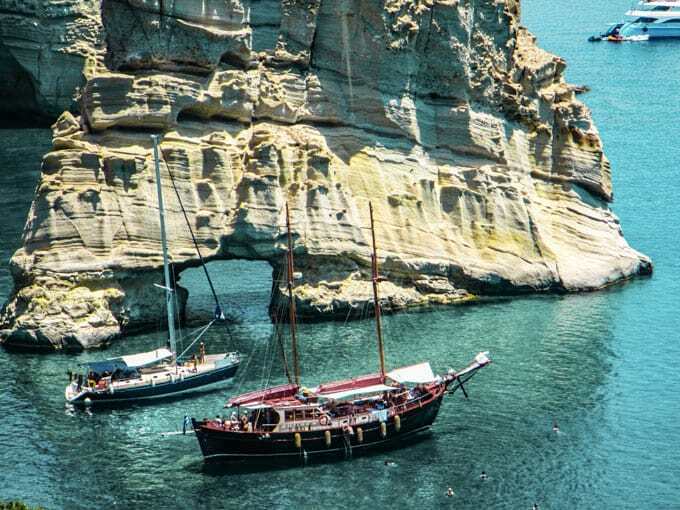 If you’ve read the precautions and feel that the hike isn’t for you, there are plenty of boat trips that swing by Milos. We encountered several and they all looked like a ton of fun. We had initially looked into them and they seemed extremely affordable and as an added bonus, most provide you lunch. Don’t do the hike if you don’t feel 100% comfortable with it. 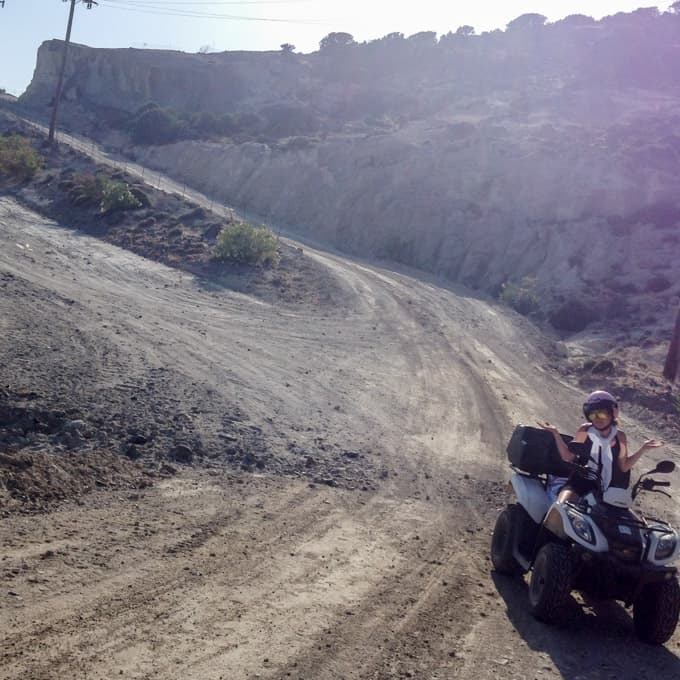 However, if you are you’re like me, stubborn and ready for an adventure, rent a quad bike and prepare yourself for quite an adventure, at your own risk, of course. 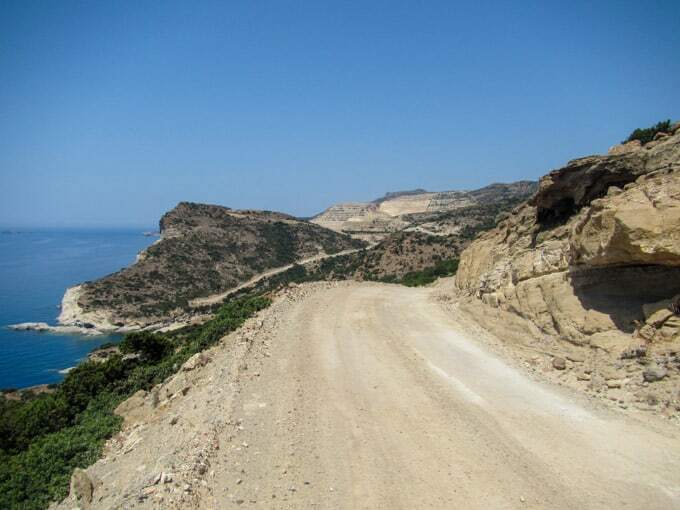 The road to get to Kleftiko Beach is long and virtually uninhabited. Most of the area is mining-central and so you’ll pass fewer and fewer people as you get closer to the trail. 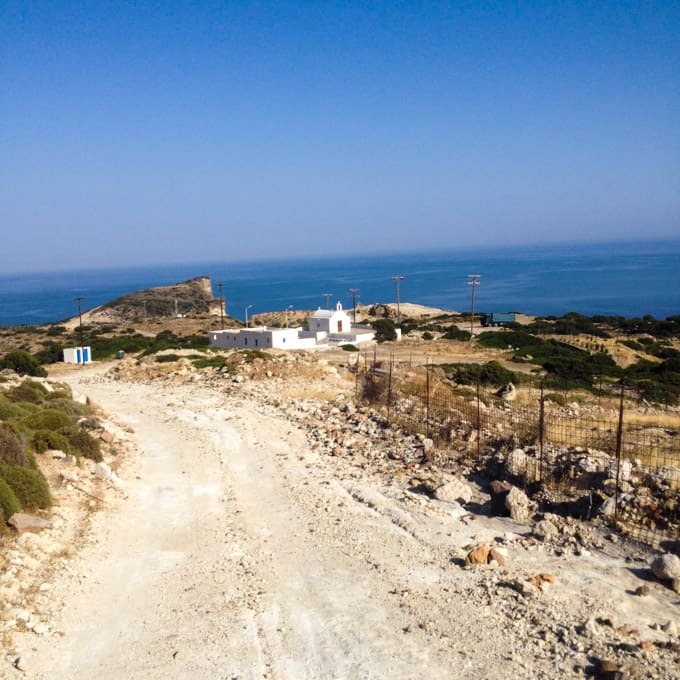 Using a map of Milos, take the (only) road that heads in the direction of Kleftiko, keeping the ocean to your left. You’ll pass fields. This is actually a shot on the way back to civilization but note how the road just drops off. 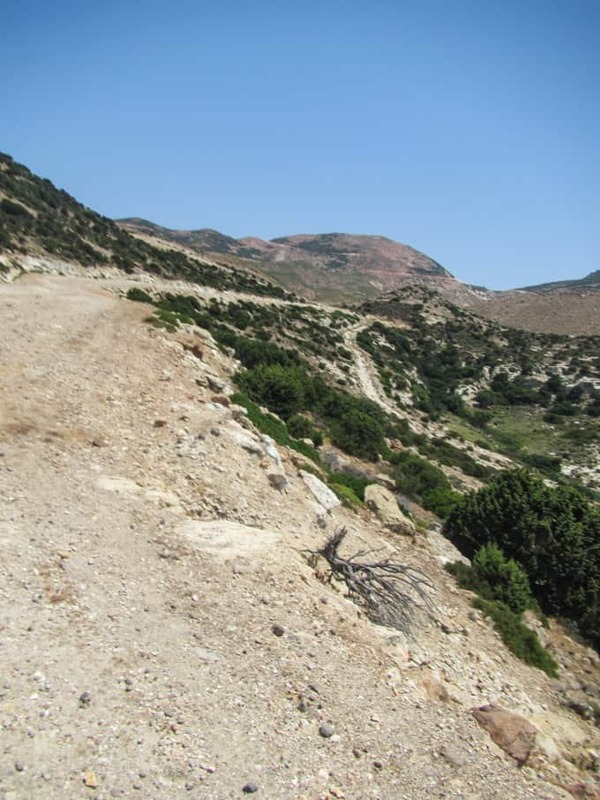 At some point you’ll reach a fork in the road (left goes to Gerontas) and the road uphill doesn’t have a sign. Go uphill. You probably already passed this sign and are looking around wondering if you should start your mileage recording but wait. This is just the sign for Xyloteria and not the actual town. The town of Xyloteria. Also, you can spot a church in the distance. Once you pass the church, set your odometer and start tracking your milage. It will be about 3km to the pole. This is where the road really deteriorates. 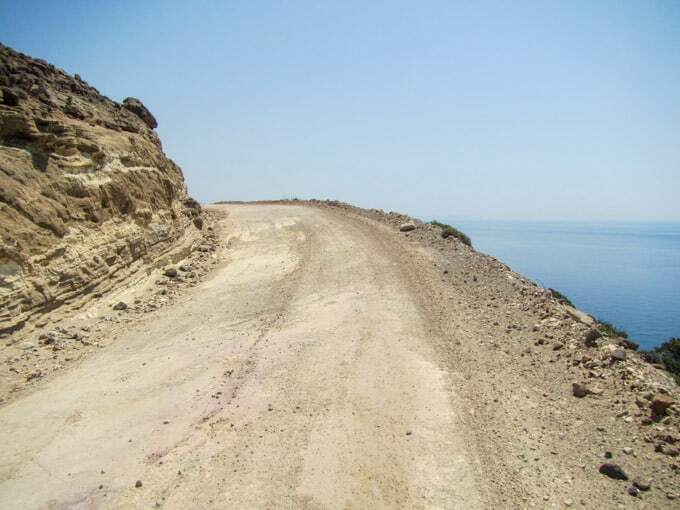 It changes from a semi-smooth dirt road to a horrible rocky surface with deep grooves and crevices. Re: why a quad is necessary. 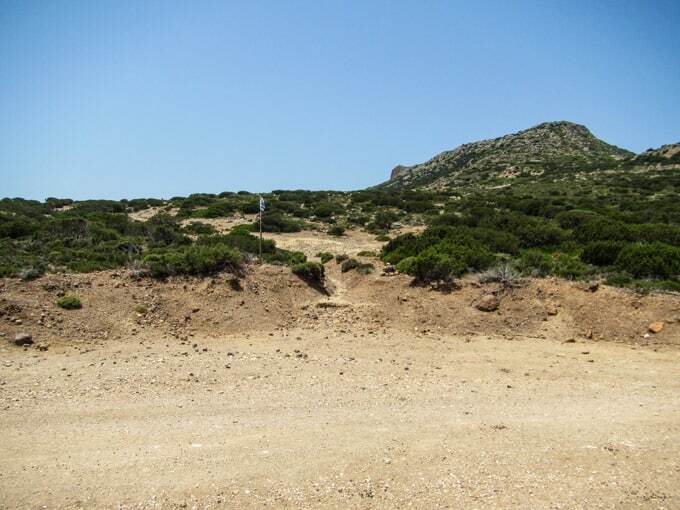 After approximately 3km, you will reach the pole (which as of June 2015 has a Greek flag) on your left. 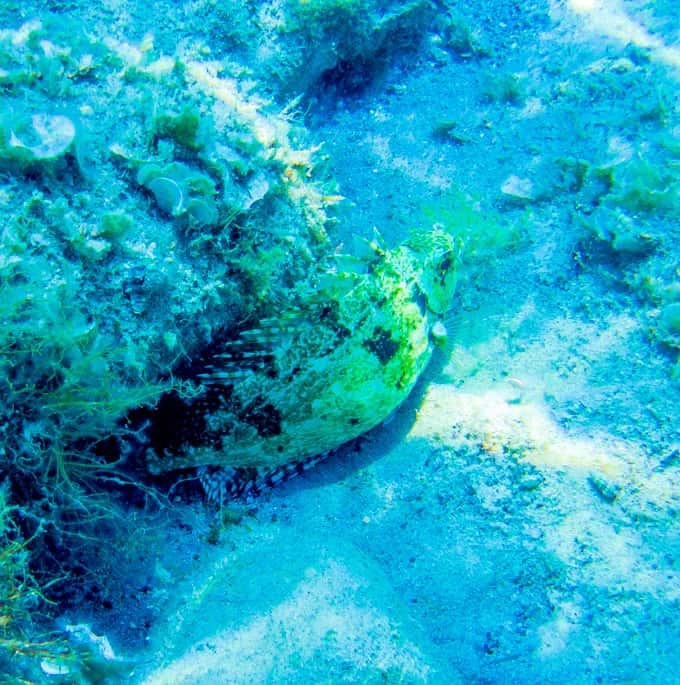 Up close – you can sort of see the painted rocks on the bottom right of the photo. 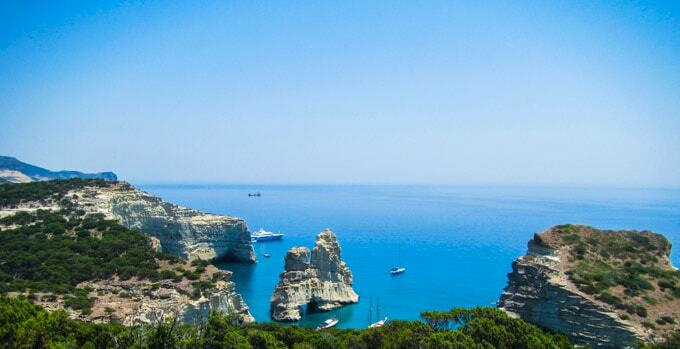 After a bit of hiking, you will be rewarded with some amazing views. And finally Kleftiko. You still have about 15-20 minutes to reach the beach. The beach area – note: there isn’t actual sand on this beach. Just use one of the many patches of rock. Wow, this is amazing! What an adventure. This is badass. Props to you! Hahaha! Thanks, I’d do it again in a heartbeat! Amazing! Wish I had read this before going with my bicycle. 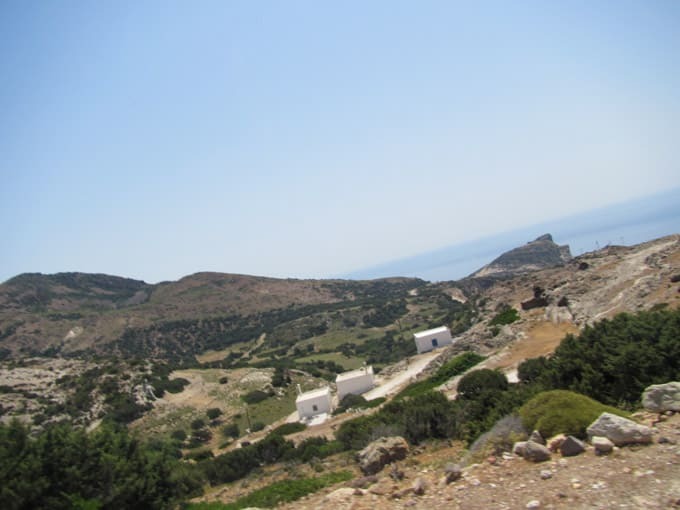 I nerver thought you could reach Kleftiko on foot. After swimming at Gerontas I tried to reach Ag. 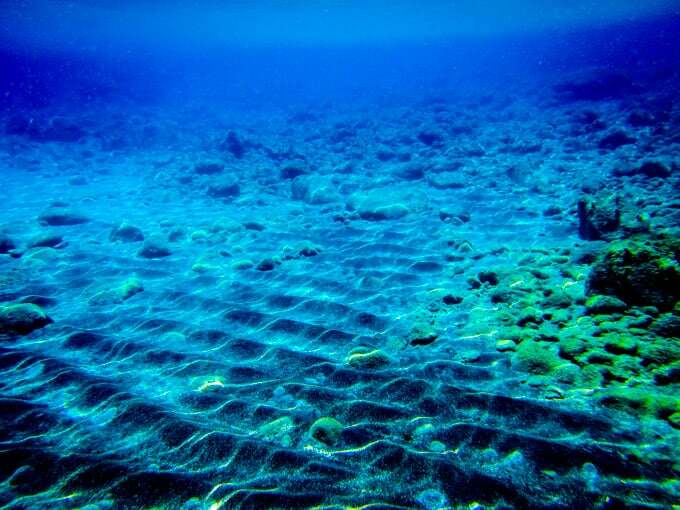 Ioannis but my water had boiled and xylokeratia was a ghost town. Passers by saved me from dehydration. 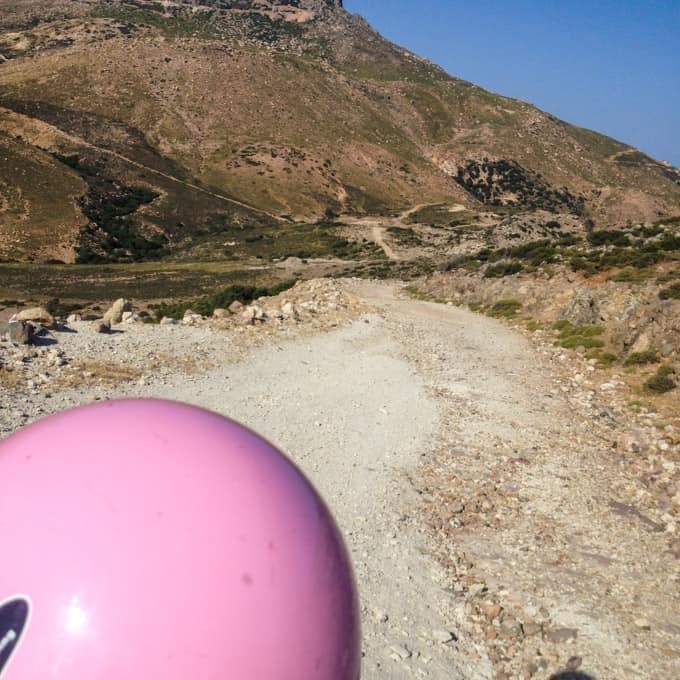 An extremely hot June day(around 42`C) The next days I retried cycling from the mountain route, it was in much better shape (excpet final Kms) and I did it! Amazing island I would do this all over again. You’re brave to bike it! Even with the quad I was nervous we would somehow be stranded and the quad did all the work for us so no fear of dehydration. Xyloteria is SUCH a ghost town, definitely unexpected hehe. Glad you liked the island – it’s probably my favorite destination yet. Thank you! brave or just a stubborn fool hahah. Now I’m back in Athens I think I made some of my greatest summers memories there. 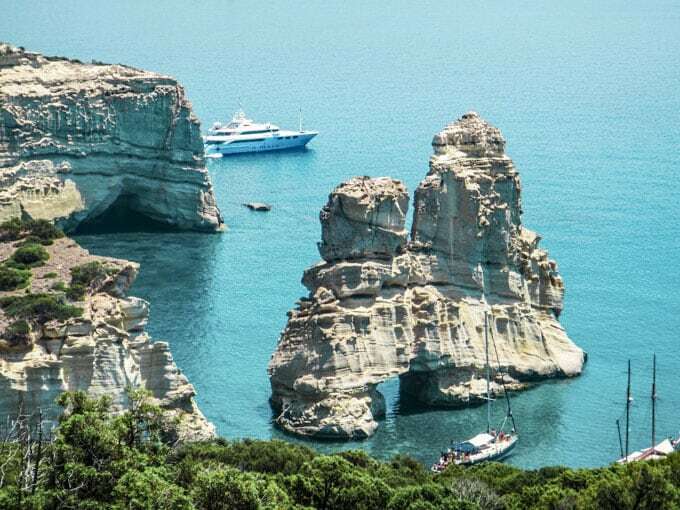 I’ve been to many greek islands but Milos seemed like a collection of the best beaches and places I have ever visited. Definetely worth a second visit:) Thanks again for the amazing pics and tips. Hi! Am planning to do this hike. 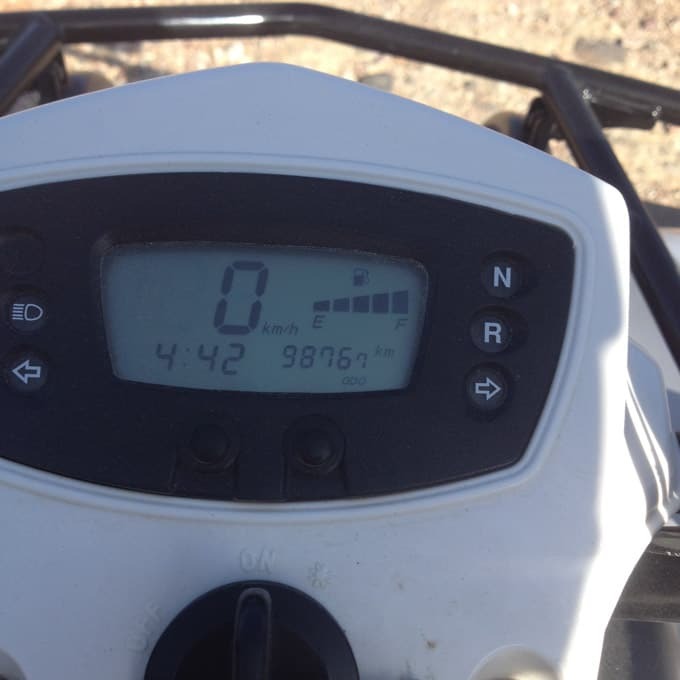 Am a little confused… after reaching the 3km mark & pole (hopefully with the flag still on), we stop the quad and walk yes? That walk is about 15-20mins? Out of curiosity: how did you find your way?! Hi Michelle! Yes, after reaching the pole, you will stop the quad to walk. 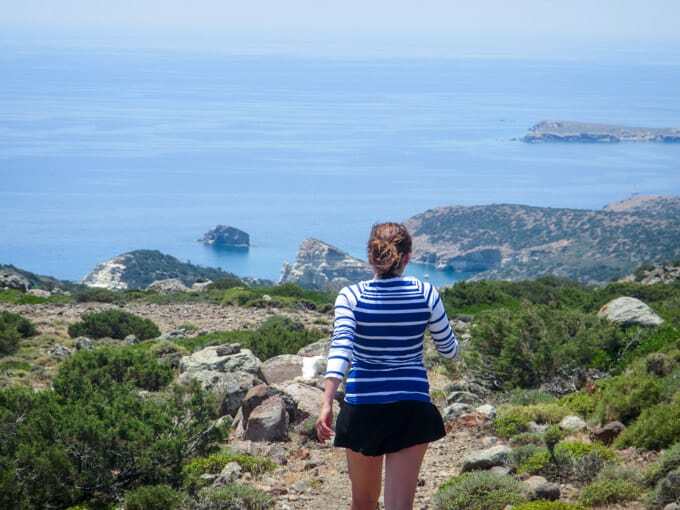 However, your total hike time will be about 50 minutes – 70 minutes depending on your speed. 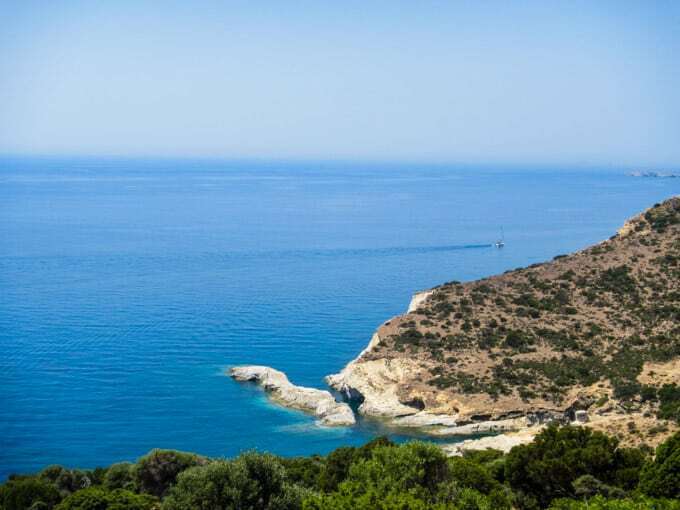 The 15-20 minutes mentioned above refers to the time it takes to reach the beach from the point which you spot the water in the distance. We found our way through lots of research haha. I browsed through many different websites and while there, we studied the map. Then we basically “winged” it! I hope you have a great time there! 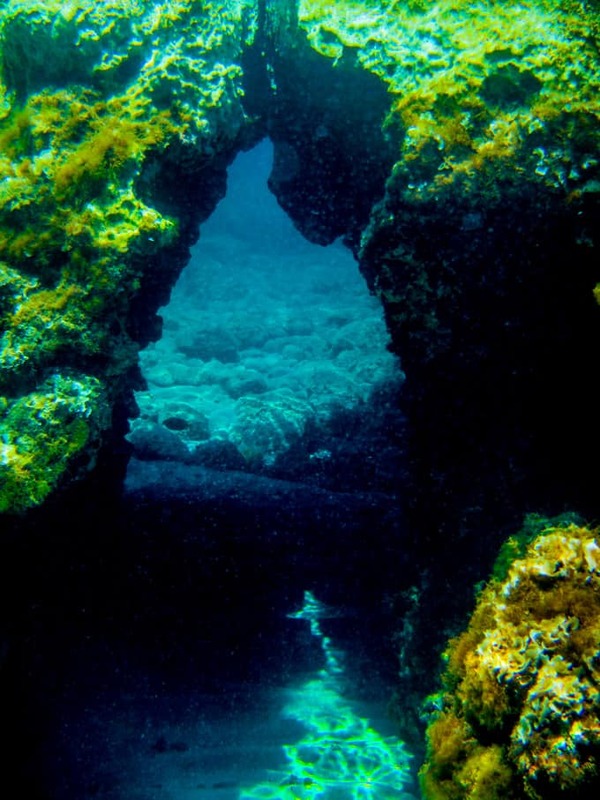 It’s beautiful and totally worth it as long as you take the precautions mentioned above! Let me know if you have any more questions and I hope that flag is still up for you! Hi! Can you advice from where you rent the quad and whch was the price? Did you find safe to leave it in the middle of nowhere and continue walk? Just asking for curiosity, haha. Thanks for sharing your experience!!! Really appreciated!